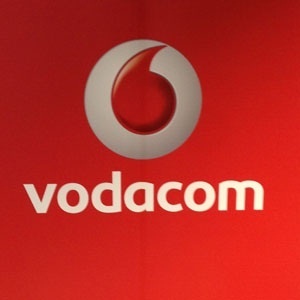 Vodacom [JSE:VOD] has reiterated that it is committed to paying reasonable compensation to former employee Nkosana Makate for his Please Call Me idea. In a conference call with reporters on Friday morning, Vodacom said that its settlement offer to Makate is subject to a privacy clause, but spokesperson Byron Kennedy said it was a "substantial amount". This comes a day after Vodacom closed its head offices in Midrand after about 200 protesters gathered outside the gates to demand it offer Makate more money. Kennedy said the Please Call Me service was not, and never has been, a "money spinner" for the mobile operator as it did not generate direct revenue. He said subscribers were not charged for the service. Makate has garnered support from government officials, including Gauteng education MEC Panyaza Lesufi and Communications Minister Stella Ndabeni-Abrahams, while former public protector Thuli Madonsela tweeted to voice her support. The ANC Liliesleaf Farm Branch, said in a statement on Thursday, that it was waiting for Vodacom's response to its demand that it offer "reasonable compensation" to Makate. Kennedy confirmed on Friday that Makate would apply for judicial review of the offer. Nkateko Nyoka, chief officer for legal and regulatory, said later in the call that Vodacom would not be amending its offer. "If there was any possibility of changing the number, it should have played out in the negotiations," Nyoka said. Vodacom Chief Financial Officer Till Streichert said when the free call back idea was assessed financially in 2001, there was a clear requirement to charge for it to cover the costs for the message. However, this was later abandoned. "That charging never took place," he said. "We saw it substituting normal text messages and a cap [on the amount you could send] was introduced. "That tells you if it had been a substantially profitable service or a substantial money maker, one would not have considered to put a cap on it." He said there was "no direct attributable revenue" as part of the Please Call Me message service. Streichert also said that, whether Vodacom generated revenue from customers calling one another in response to the Please Call Me message was a "highly speculative" question. "Normal calling patterns are evolving over time and we have not been seeing any incremental revenue with regards to that proposition and in particular because we have never been able to charge for [the Please Call Me message service]. "And we ended up keeping the cap of a certain number of messages in place because we incur costs of messages being sent that needs to be recovered."